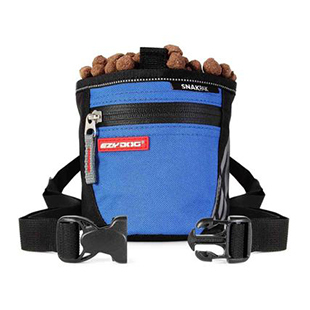 The EzyDog SnakPak-Pro is the perfect treat bag to make training your dog a breeze. Now with the poop bag dispenser you will never leave home without your poop bags again! The quick twin magnetic closures provide fast and simple access to rewards. Our easy to access front waterproof zip closure and hip belt pockets are perfect for storing keys, your smart phone or money. Make cleanup a breeze with the innovative pull-up liner that can be wiped clean after use. 25 Oz (750ML) Volume. Higher volume than standard SnakPak. The magnetic opening system provides simple and rapid access to treats. With the new oversized treat bag for dog training, there is plenty of space for a couple of day's worth of treats! Two accessory pockets - one front zip closure for storage of money or keys and a hip belt zip closure for convenient added storage. As a Professional Dog Trainer, I have tried MANY treat bags and this is the best by far! Let me first say that I was very excited about this product and I am very happy with the size of the treat bag and the feel of the belt. It is wider than my old treat bag, so it sits nicely around my waist, however, the treat bag itself is attached high on the belt so I have to wear it low on my hips to be able to get into the bag itself. Not the end of the world, but something I have to get used to. Love having the poop bags easy to access and all the other little pockets to tuck keys or a Kleenex etc. Only other slight negative is the magnetic closure on the treat bag, it doesn't always close tightly and when you bend over a few treats may spill. Not always a big deal but I compete in nosework with my dogs and it is a fault to drop treats. Otherwise it is well made and seems like it may last a good long time. The best treat pouch I've used. Being a dog trainer I've tried many different types of treat bags and never found one that was satisfactory. I settled on a fanny pack because I didn't have a struggle getting my hand inside for the treat. With the Snakpak-Pro that problem has been solved. It has a wide opening making treat retrieval a cinch. It is also easy to clean, has a spot for poop bags and two other pockets for storage of small items. If you're looking for a treat bag this is the one. I love using this treat bag! 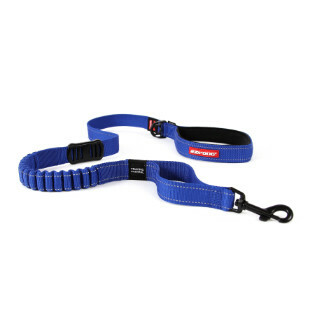 I use it with the FitPaws ball give the dog a great work out. I had a problem opening the old treat bag while holding onto the wiggly dog. This one has a magnet that keeps it closed, very easy to work one-handed! It also keeps his nose out of it when he is at waist level. I can lean over to close it or use an elbow. It is convenient for walks and travel. It is a good all-around easy pouch to use. It solves my problems!